All decals are genuine Games Workshop sheets, clean and unused. All items will be packed appropriately for safe despatch. Combine as many bits as desired for no extra postage costs. Overflowing bitz box? 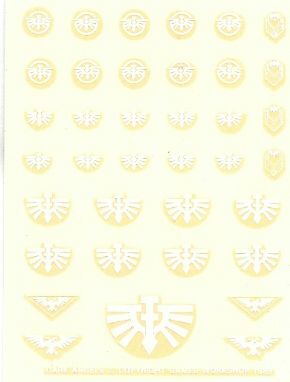 We buy and sell Warhammer 40k Games Workshop sprues and parts, let us know about your bitzbox spares!